Mabuhay! 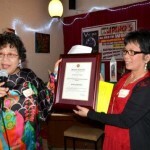 Stichting Bayanihan Selected Recipient of the Banaag Award of the 2012 Presidential Awards for Filpino Individuals and Organisations Overseas. 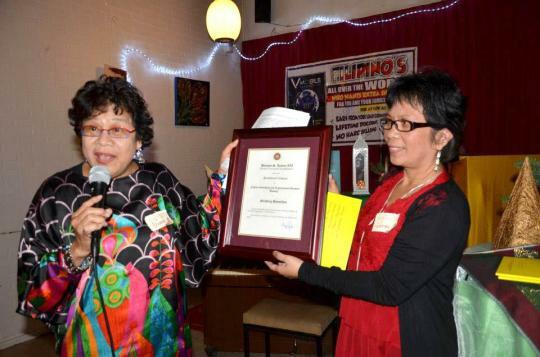 The Commission on Filipinos Overseas (CFO) is happy to congratulate Stichting Bayanihan as a recipient of the Banaag Award of the 2012 Presidential Awards for Filipino Individuals and Organizations Overseas. Secretary Imelda M. Nicolas, Chairperson of the Commission on Filipinos Overseas informed Bayanihan about this wonderful news. 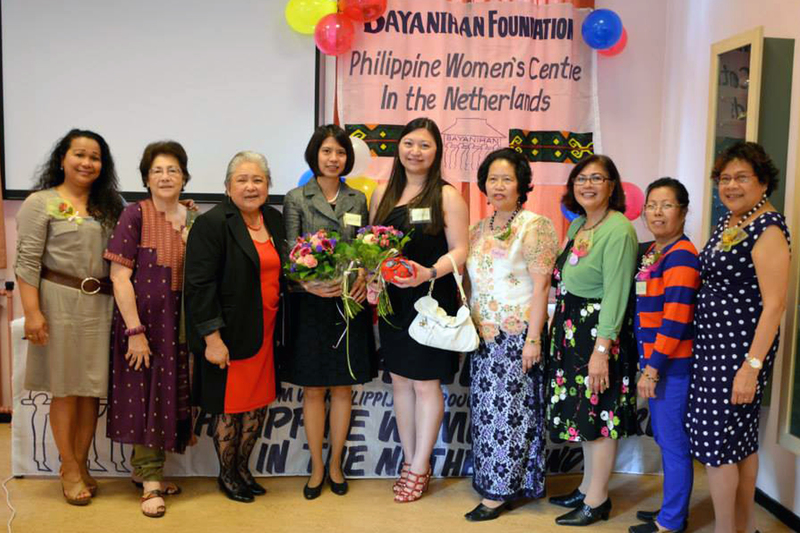 Stichting Bayanihan, Centrum voor Filippijnse Vrouwen in Nederland ( BayanihanFoundation, Philippine Women Centre in the Netherlands) is a self-help women organisation which aims to advance the particpation, integration and emancipation of Philippine women through empowerment in the Netherlands). 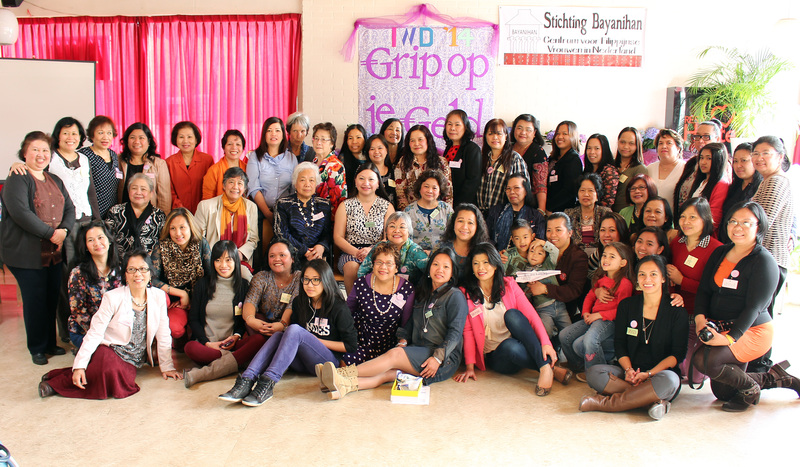 Bayanihan has been doing this work for 21 years. 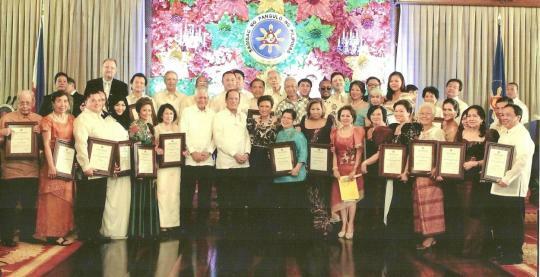 The Presidential Awards for Filipino Individuals and Organizations Overseas, established through Executive Order No. 498 in December 1991, is a biennial award conferred to distinguished Filipino individuals and organizations in recognition of their outstanding contributions to national development efforts, or their outstanding achievements in their field of profession. 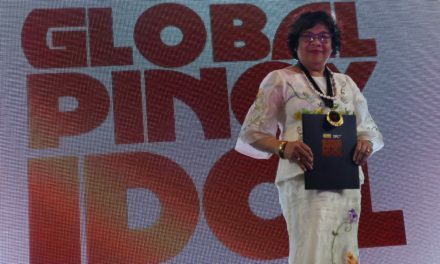 The awards are also conferred to foreign individuals and organizations that provide assistance to the country or advance the cause of Filipino communities overseas. The Banaag Award, Pilipino for “bright light” is conferred on Filipino individuals or organisations for their contributions which have significantly benefited a sector or community in the Philippines or advanced the cause of overseas Filipino communities. The plaque which was presented during the Awarding Ceremony last December 5, 2012 in the Malacanang Palace, Philippines, reads “Benigno S. Aquino III, President of the Republic of the Philippines, presents this presidential citation for Filipino Individuals and Organisations Overseas “Banaag” to Stichting Bayanihan, “ For their commendable support work ensuring the well-being of Filipino Au Pairs and marriage migrants in the Netherlands. 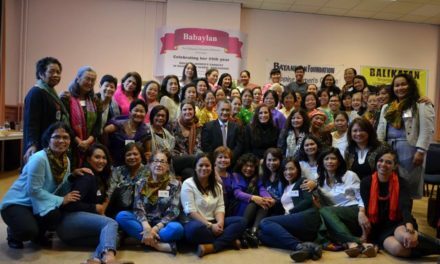 In its press release, the Philippine Embassy in the Netherlands mentions that Stichting Bayanihan is one of the 29 awardees from a total of 137 nominations received by the CFO from 26 countries. According to Secretary Imelda M. Nicolas there are 24 individuals and 5 organisations who are recipients of these awards. 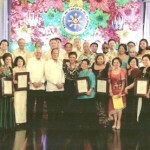 For more information about the Presidential Award 2012 and the Welcome Speech of Secretary Imelda Nicolas please visit www. Commission on Filipino Overseas.com.